You are here: Home › Stayfitcentral Health & Fitness Blog › Health & Fitness Blog › Ask The Experts › Is Whey Protein Keto? Is whey protein keto? If you are new to keto or low carb diets you may have this question. In fact many people I know who’ve followed a ketogenic diet for years aren’t even sure if whey protein shakes are compliant with ketogenic diets. Is Whey Protein Keto Or Not? 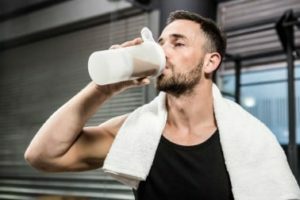 Whey protein shakes are perfectly okay to drink when you’re eating Keto. No, they won’t help you get into ketosis faster. 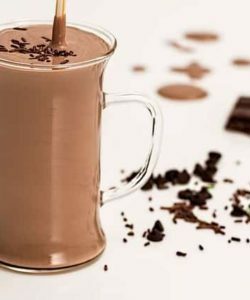 But, as long as you choose the right product and drink it appropriately these shakes can make keto dieting easier to follow and keep your body burning fat instead of your hard earned muscle for energy. This is especially true of you struggle to get enough protein regularly. So It Doesn’t Have Too Many Carbs? A quality whey protein powder will have fewer than 5 grams of net carbs per scoop. So, even if you use 2 scoops in your shake, you’re still not drinking more than 10 grams of carbohydrates. This is well under the 30-50 grams of daily carbs limit recommended for most of us who want to get and stay in nutritional ketosis (burning stored body fat as our primary source of energy). Just make sure you include these carbohydrates into your daily total. Whey protein shakes aren’t just okay to drink when you are on a keto or low carb diet. They can actually help you reach your goals faster. As long as you lift weights, it’ll help you build muscle so you look great and feel strong. Studies show the BCAAs in whey protein can help you lose belly fat faster. It’s a convenient way to meet your daily protein needs. Drinking whey protein will help you stay full between meals. Wait A Second. Doesn’t Eating Extra Protein Kick Me Out Of Ketosis? Many keto dieters believe that if they eat too much protein, it will forever throw their body out of nutritional ketosis and ruin their diet. This isn’t likely to happen. Eating adequate amounts of protein are actually very important when eating keto, whether your goal is weight loss or improving your overall health. Protein helps you stay full, builds and repairs the muscle that keeps you strong and healthy, and much more. In fact, eating adequate amounts of protein (about .7 grams per pound of body weight) every day can actually help you stay in ketosis more easily. This is due to a metabolic pathway called gluconeogenesis. As its name implies (gluco = glucose, neo = new genesis = origin or formation of something) is the formation of glucose from protein. This protein can come from what you eat or your hard earned muscle. Since you don’t want to lose muscle, we want to get it from protein like whey. Anyway, gluconeogenesis helps our body create glucose for energy when we’re eating low carb. This is very important since some cells in our body cannot use ketones for energy. Now that you why whey protein shakes are okay it’s time to learn how to take a simple whey protein shake and turbo charge it into a creamy, delicious, keto shake that will help you get into into nutritional ketosis, keep you feeling full and energized all day long. I’ll also teach you what to look for in a whey protein shake so you get the best product. While drinking a plain whey protein shake isn’t going to kick you out of nutritional ketosis and throw your diet off track, you can make it even better. Adding the right ingredients can actually help you get into or stay in nutritional ketosis for several hours. All you need to do is add the right fats to your shakes. Simply adding a tablespoon of MCT oil to each serving will enable your body to create more ketones, the compounds that your body loves to use an instant source of energy. As you know, the more ketones your body creates, the deeper you go into nutritional ketosis. I add 1 tablespoon of MCT oil to my shakes. It’s enough to help me stay in ketosis or get back on track if necessary. An added benefits is that these shakes keep me full and energized for several hours. Make sure you start with a small amount of MCTs. Most experts recommend taking 1 teaspoon at first. Work your way up to 1 tablespoon over a week or so. This will prevent you from experiencing an upset stomach that MCTs can cause if you’re not used to them. Since MCTs are flavor and odorless, they won’t make your shake taste funny. I actually think they improve how foods taste. They also give protein shakes a creamier, richer texture and flavor. Use a blender to make these shakes for the best results. Adding a tablespoon of MCTs won’t break your daily calorie budget either. A tablespoon only adds 100 calories to every shake. When you’re shopping for a whey protein powder to complement your keto diet, there are several things to consider. Whey protein isolate is the main ingredient. It contains more protein per scoop and less sugar than other shakes. Choose a protein powder that has no less than 25 grams of protein per serving. No more than 5 grams of carbohydrates per serving. This won’t enough to kick you out of nutritional ketosis. Avoid products that use artificial colors and sweeteners, these sometimes lead to cravings for sugar rich foods. Don’t buy a whey protein powder that adds individual amino acids like leucine or glutamine. This is done to ‘spike’ the shakes protein content. The only thing that gets a boost here is the company’s profits since it’s cheaper to do this than use high quality protein. My favorite whey protein for the keto diet is Optimum Nutrition Gold Standard 100% Natural Whey. Here’s what you get in every scoop. Learn more about the best whey protein powder for keto and low carb dieters like us. Now you know that’s okay to drink whey protein shakes when you’re eating keto. Remember, that it’s a supplement and should be used to help you meet your daily protein needs and isn’t meant to be the sole source of in your diet. 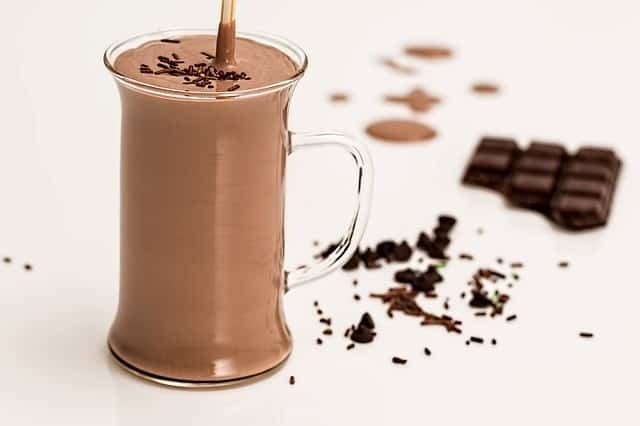 A shake after dinner and/or in between meals every day the best way to get all of its benefits without eating too many carbs.